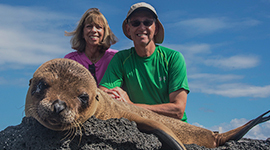 Galapagos, Quito, and Otavalo Tour Package: An adventure, back-to-back! Allow yourself to be enchanted by three of the most beautiful destinations in the world: Quito, Otavalo, and the Galapagos Islands. The fascinating architecture and history that surrounds one of the best-preserved Historic Quarters in all of South America await! 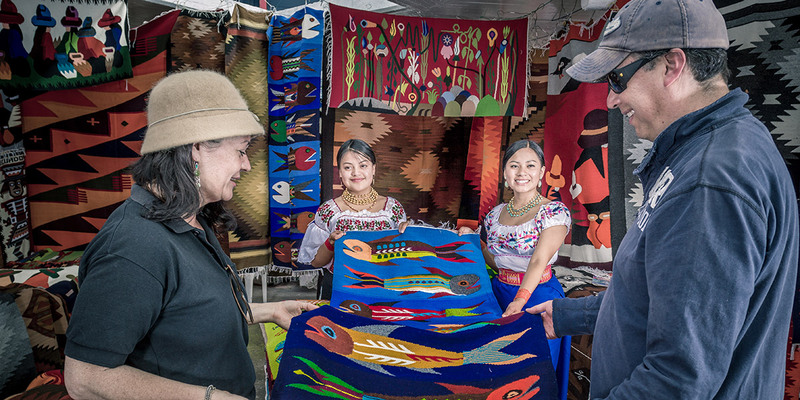 Otavalo – with its eclectic markets and artisanal crafts – will be the colorful prologue to a journey of profound exploration across an archipelago that has never failed to make visitors fall in love. 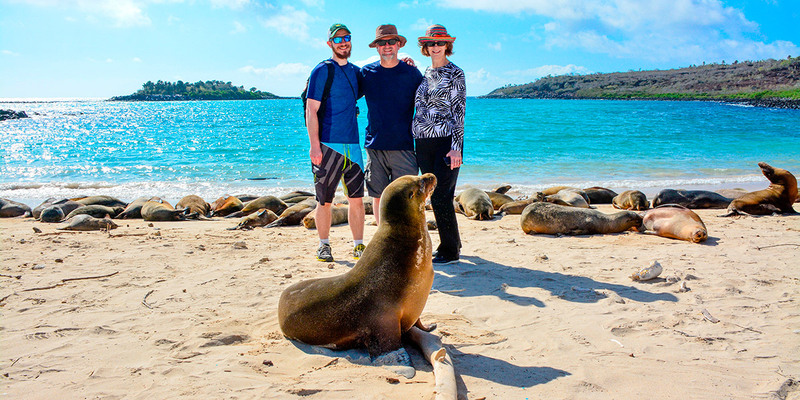 In the Galapagos Islands, you’ll have an incredible opportunity to observe all the fearless and fascinating creatures that inhabit the landscapes (and are found nowhere else in the world! ), up-close and just mere steps away! Aboard Yacht Isabela II, you’ll awaken at a new island each and every day, with landscapes that are sure to take your breath away. 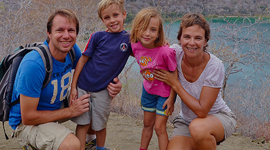 New and exciting experiences in Ecuador and the Galapagos will be right at your fingertips! 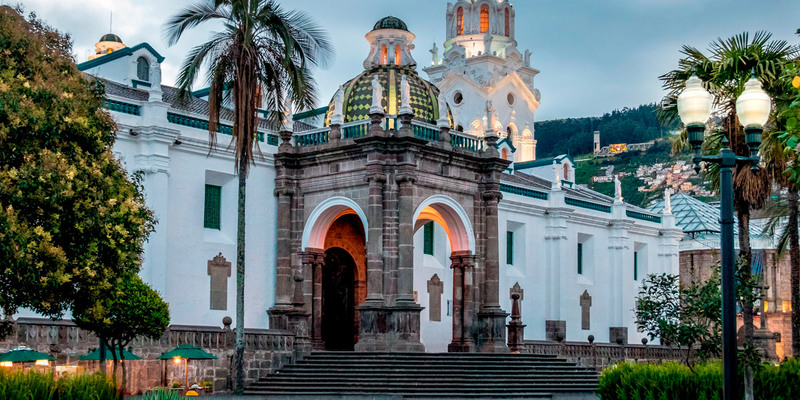 After that, we will visit the La Compañia de Jesús Church and admire its gilded interior before continuing onwards to the San Francisco Church and Convent – one of the largest architectural structures within a historic center in the Americas. 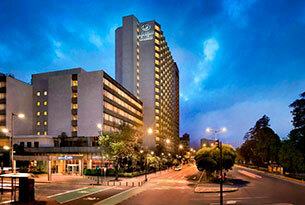 Its impressive façade and atrium lead into its equally impressive Baroque interior. 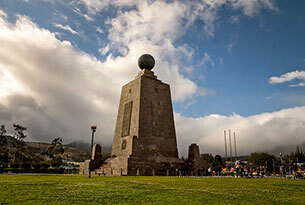 On this day, you’ll also get to experience the marvelous El Panecillo Viewpoint that offers sweeping views of Quito. On this day, you’ll be picked up at your hotel to begin your journey to Otavalo. Your first stop along the way will be Mira Lago – an impressive lookout point that offers mesmerizing views of San Pablo Lake and Imbabura Volcano. While soaking in the views, you’ll get to sample some typical local delicacies. 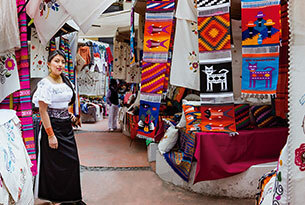 Afterward, you’ll head to the Otavalo Market, also known as the “Poncho Plaza,” where you’ll dazzle your senses with the wide of array of colors, textiles, and artisanal wares, many of which you’ll surely want to take back home with you! The next stop will be Miguel Andrango’s workshop, where you’ll get to learn about the creative process behind a number of textiles. Following that, you’ll experience the vegetable and fruit market of Otavalo along with the Andean instruments over at Ñanda Mañachi. The tour ends with a visit to Hacienda Cusin, where you’ll enjoy a delicious lunch that’s been prepared using organic ingredients from the nearby garden. You arrive at Baltra Airport and are shuttled down to the Itabaca Channel where we’ll assist you in taking a ferry across to Santa Cruz Island. In the highlands of Santa Cruz Island we will enjoy lunch. Afterward, we will continue down to the town of Puerto Ayora. 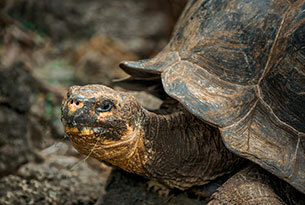 Visit the Charles Darwin Research Station and the numerous giant tortoises that reside there. Afterward, we will take a stroll down the main street of Puerto Ayora before embarking Yacht Isabela II. After checking in, you’ll be invited to the Captain’s Welcome Cocktail and then dinner. The idyllic white-sand beach of Santa Fe Island is populated by colonies of sea lions. Galapagos hawks are often easily observed here, typically found sitting perched atop the salt bushes. The brilliantly yellow Santa Fe land iguana, which is exclusive to just this island (in the whole world! ), might also be spotted during the walk. The turquoise waters of the channel here contrast brilliantly with the white sand beach and volcanic rocks that make up the shoreline. Along the coastline, we’ll walk right by sea lion colonies while seabirds play along the cliffs of this small but spectacular island. 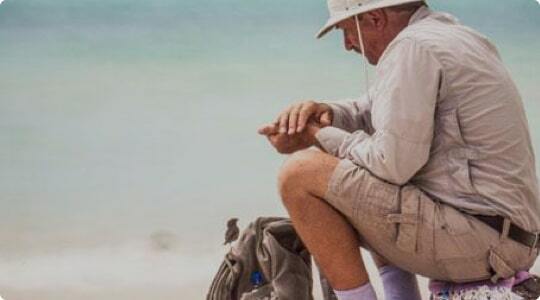 Observe numerous bird colonies as well as sea lions and land iguanas. There are opportunities for snorkeling, dinghy coastal exploration or a glass-bottom boat ride for great views of the underwater world. This site is an important nesting area for the east Pacific green sea turtles. 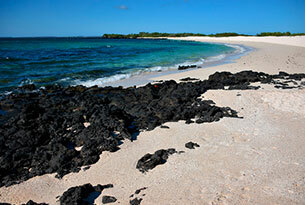 Las Bachas, located on the north shore of Santa Cruz Island, comes complete with a glorious white-sand beach. Nearby lagoons are the feeding grounds for various wading birds, from stilts all the way to flamingos. You are welcome to swim or snorkel from the beach here. 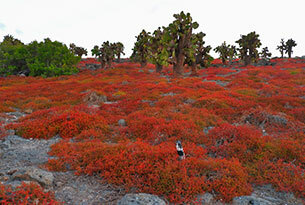 On this morning, an iconic and postcard-worthy Galapagos feature awaits: Bartolome Island, where the view from the top makes it well worth the climb! There will also be time for you to enjoy the beach as well as do some snorkeling. You can also choose to ride aboard the glass-bottom boat for great views of the underwater world without getting wet. This visitor site comes complete with a white coral-sand beach, which is great for swimming and snorkeling. 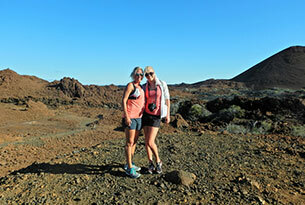 Additionally, there’s a trail that goes over a lava field that once flowed here less than 100 years ago. Day 8: Transfer to Airport / Farewell! After breakfast, you’ll take a transfer to the airport to catch your flight back to the mainland. Safe travels! 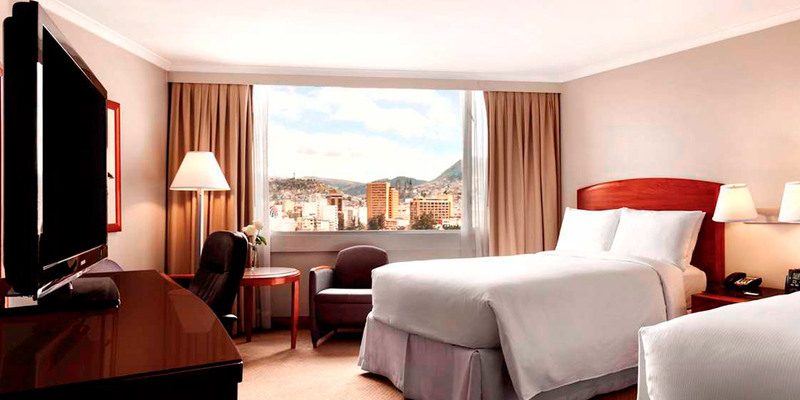 Upgrades to Casa Gangotena Hotel Room are $150 per person. This was a whirlwind 3-day tour of the southern islands with plenty of activities, ranging from naturalist walks with abundant wildlife at close proximity, snorkeling, kayaking, etc. 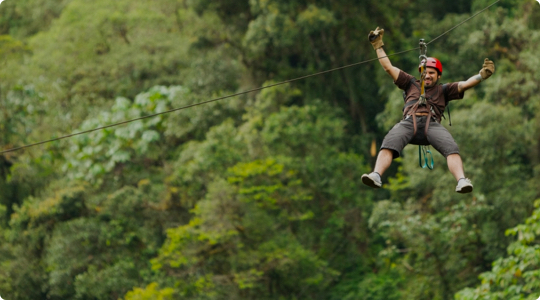 The guides were extremely knowledgeable and were part of the highlight of this trip. The ship is very well appointed and well thought out to accommodate @40 guests… we were part of a tour group of 34. This is a very professional operation from top to bottom!